Okay y’all. I keep getting questions about my process, and more specifically , my supplies. And while I am a firm believer in people testing and trying things to find what works for them, I have decided to let you all in on All. My. Secrets. Yep - you read that right. I’m giving you the links to all my most used products and supplies. And whyile my Waffle subscribers are the only ones who get access to this list for free, I want to give you an opportunity to download the supplies list as well! For the price of a large sweet tea at Chick-fil-A, you can purchase this downloadable PDF with all my favorite art supplies! In other news- I recently got to wrap a car in my floral designs! 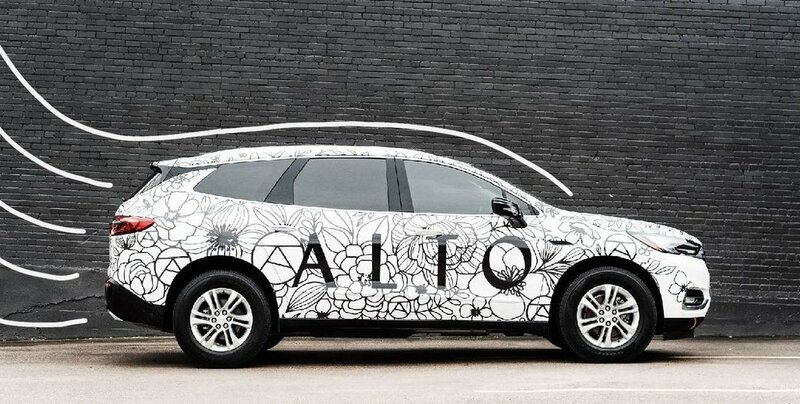 If you’re in Dallas, keep an eye out for the Alto art car while you’re driving around town! Alto is a newer company in Dallas - think luxury Uber - and I could not be happier with how this collaboration turned out.